For certain transactions, it’s a little more complex than just your typical pay what you owe and then leave. There are times when the object being sold is much too valuable for a simple over-the-counter transaction. It can be a car, a house, or land ownership. In any case, buying those kinds of properties takes more than just receipts. A certain contract between two individuals is required for the occasion. 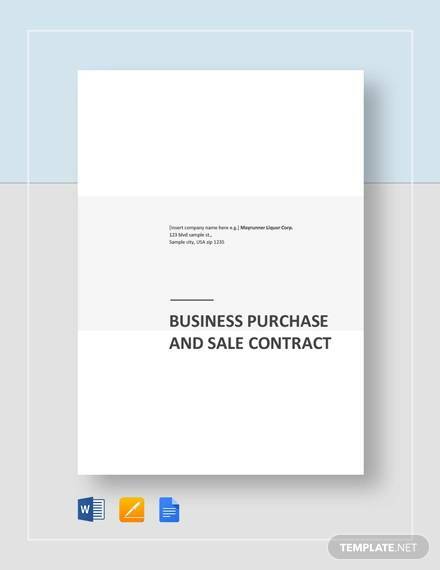 We present to you purchase contract templates that you can download to use! 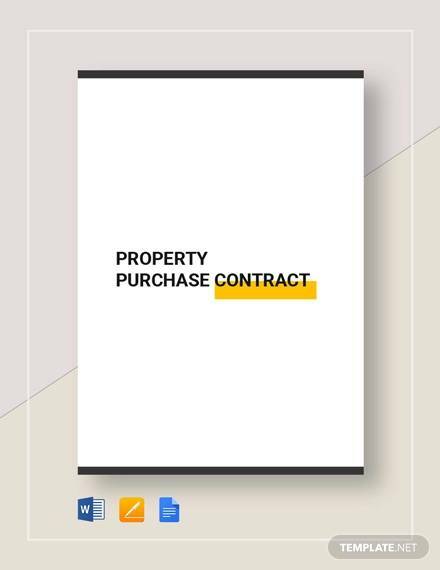 We also want to teach you a few interesting things about purchase contracts. We have all kinds of free contracts that you’ll find all over our website. 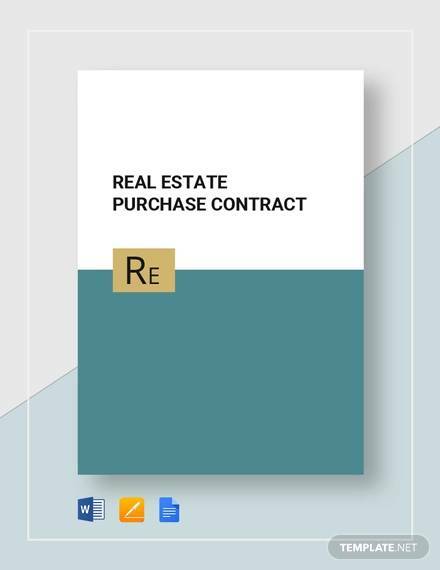 A real estate purchase contract is a contract between two parties regarding the purchase of real estate. It is a legal requirement for this type of contract to be in writing before the contract is even valid. You should be aware of this fact before you plan on selling or buying any real estate property. 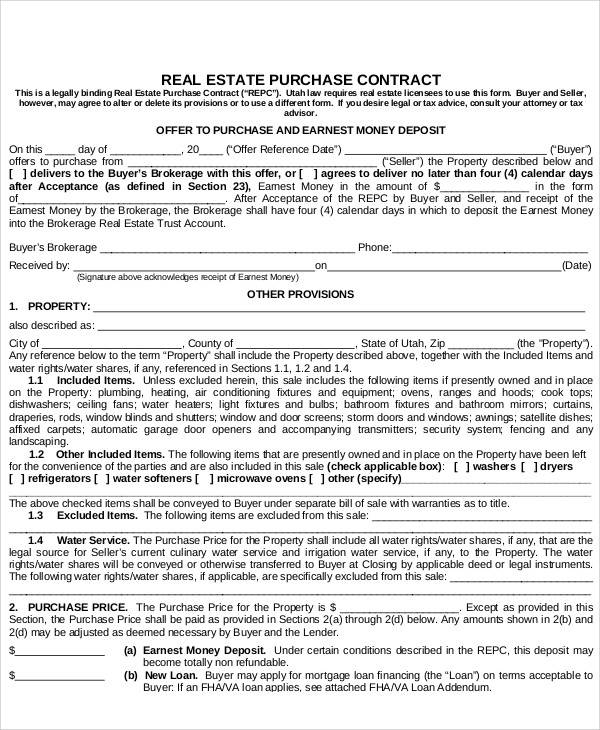 Afterward, at least one copy of the contract is to be held by both parties as proof of purchase and agreement. You should really take the time to research the essentials of a certain type of contract before making it. 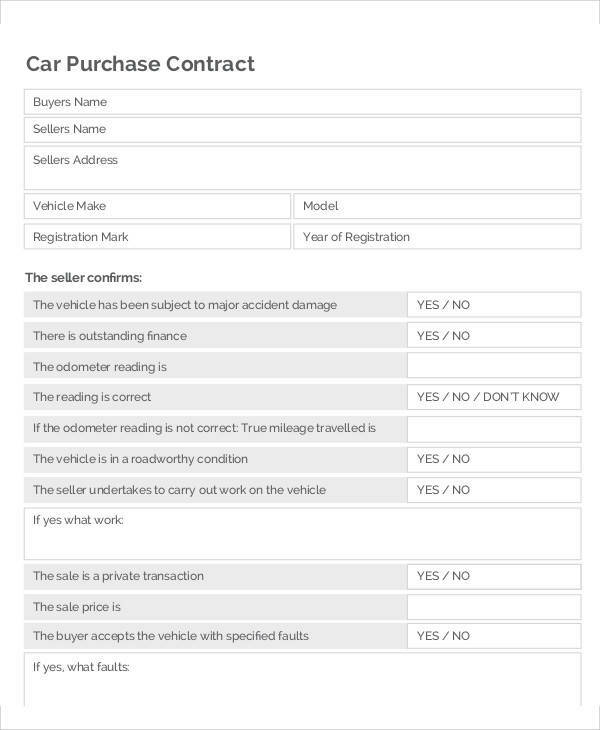 One kind of contract that you might be using is an automobile sales contract, of which you also want to take note of the details of the contract before you make one. 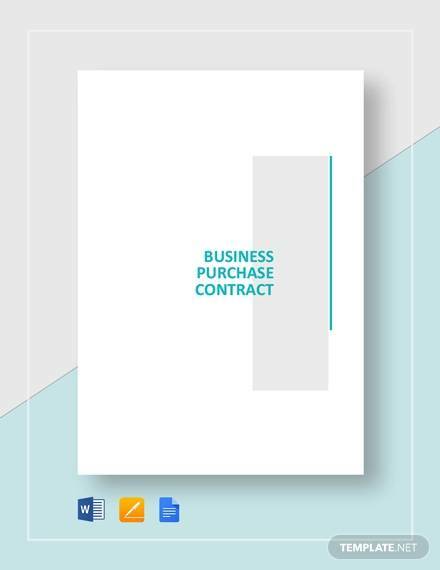 If you’re company in agreement with purchasing supplies from another, then you should take a look at our supply agreement contract before you start making one of your own. 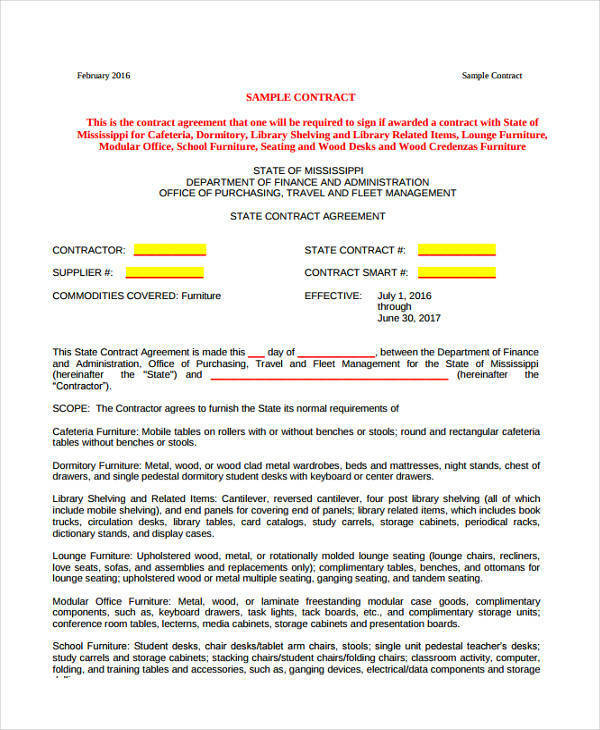 There aren’t that many differences between a purchase contract and a sales bill. Both are quite similar and function as proof of purchase and agreement between two parties. However, the difference is in the timing. 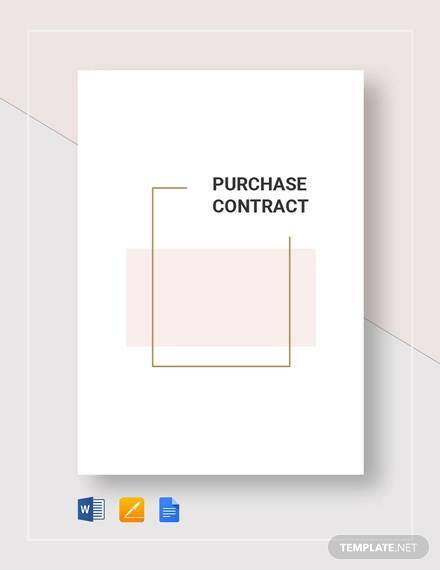 Purchase contracts are made before the transaction takes place while a sales bill, otherwise known as a bill of sale, is procured after the purchase. 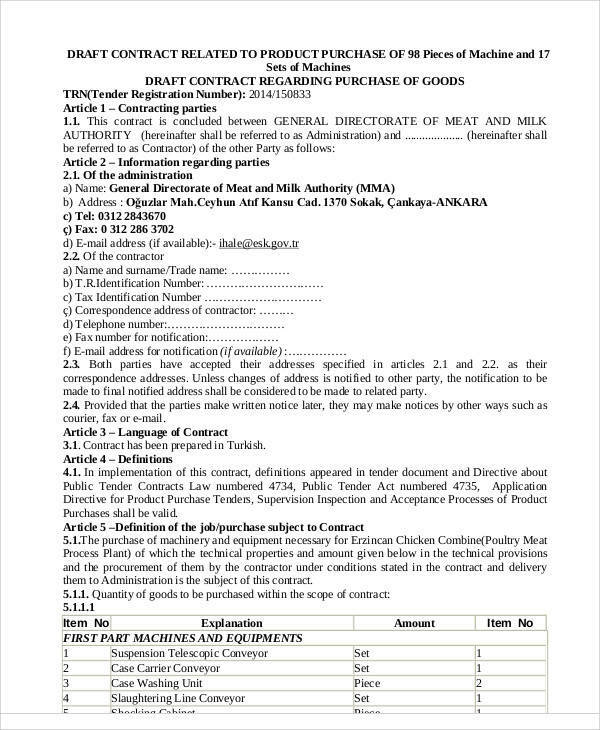 Description of What Is Being Sold – necessary details of what the buyer purchased. This includes what is bought and how many, as well as extras that come with it. Instructions for Deliver – details to make sure that wrong delivery does not occur. This should always include a complete address on the instructions. Inspection Period – this detail allows the buyer to inspect the goods for anything they don’t like so they can send it back. Though, there are many purchase contracts that don’t include this. Warranties – details of a specific time period of which the buyer can return the equipment bought if it is found to be deficient. Warranties can also be a repair guarantee if possible. 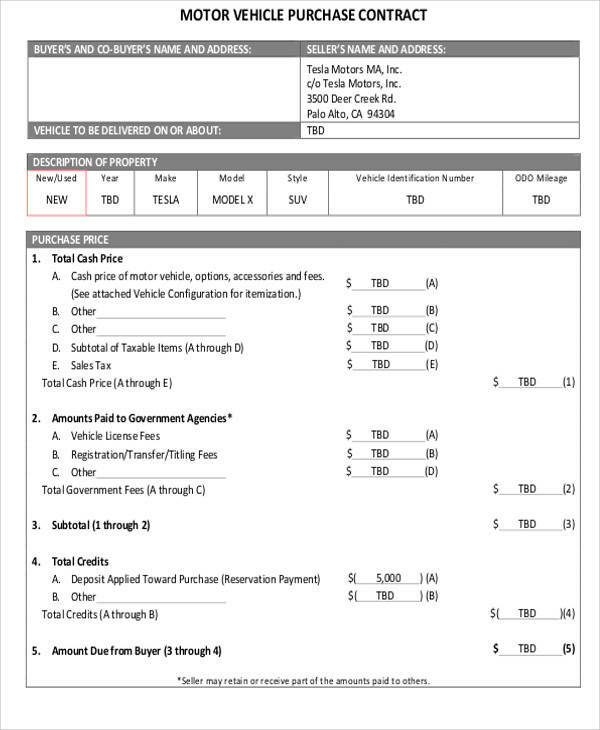 Details of Payment – details regarding the buyer’s method of payment. 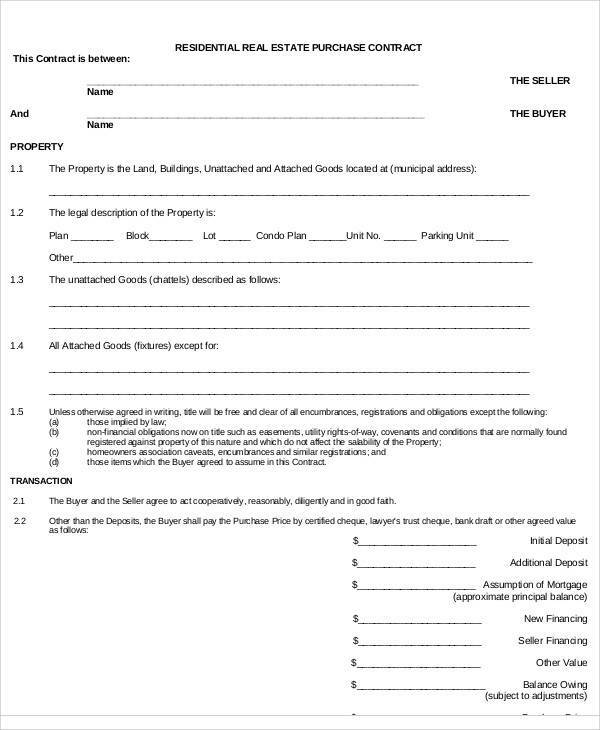 This can also document if the buyer is paying for the equipment bought all in one sum or in installments. 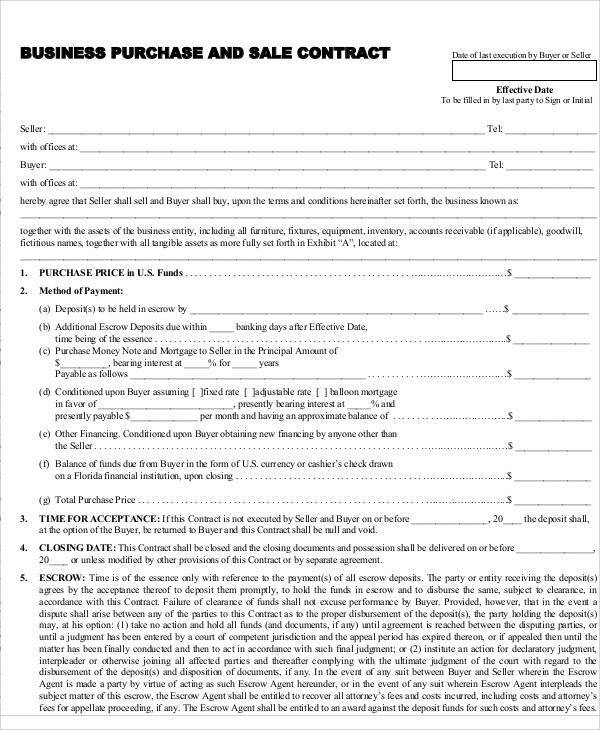 If you ever need any help with anything regarding contracts, please do continue to use us for more contract templates. 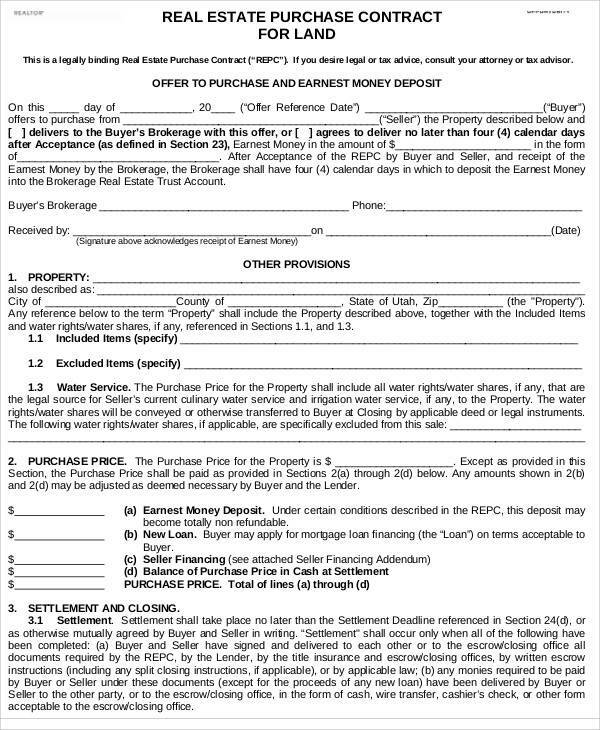 You can also check out these investment contracts and contractor invoices for more that we have to offer.